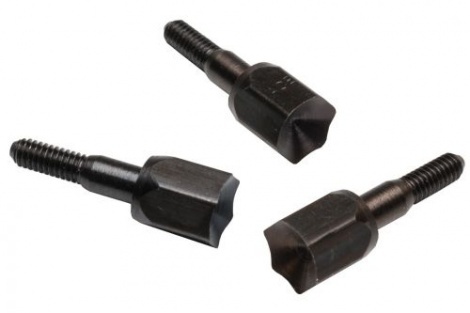 Ace Hex Blunts Hex Blunts are excellent for all types of small game and stump shooting. Available in 125, 145, 175 and 200 grains. Glue-on fits shafts 11/32" and 23/64". Available in 125, 145, 175 and 200 grains. Screw-in fits shafts 5/16" and up. Per 6 pack.